I am a real estate professional who moved to the Lowcountry by way of the Outer Banks of North Carolina. For me, real estate was a bold change from my previous background in aviation. I have been committed to real estate for over a decade and have proven to be very successful. I specialize in investment opportunities. Helping my clients understand the current market while also helping them plan for the future at the same time is my number one goal. 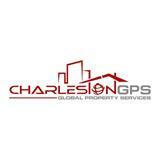 I am a proud REALTOR® serving Historic Charleston and surrounding areas. I take the responsibility for finding just the right home or investment for my clients very seriously. Charleston Trident listings last updated Apr 18, 2019 4:19:pm.